I do get to work for them this week! Wednesday through Friday Heather Bullard has asked me to be her assistant stylist in a nearby magazine photo shoot! I am so so excited I can hardly stand it! Depending on my schedule I don't know how much blogging I'll be getting done, but just know I am out having fun and doing something I love and am very passionate about! Have a great time with Heather! Wear comfy shoes and drink lots of coffee!! 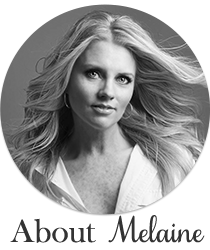 I am so excited for you Melaine!! I can't wait to hear all about it!! That is so exciting!! Congratulations!!!! Congratulations!! What an amazing opportunity. It is one of my top 3 magazines and so glad we can get it in Canada! Doing what you love and getting paid for it! So wonderful, Melaine! Your talent and skill set will be a fabulous asset to the photo shoot! Congratulations! How exciting and who knows maybe your chance in next n country living. Have a wonderful lime I love Heather Bulard! That's super exciting! Have fun! Can't wait to read all about it. Congratulations!!! That would be a dream come true. Enjoy every minute! That's very exciting! Have a great time. HOW EXCITING!! Woohoo - have FUN!! Sooo excited for you Melaine. Ok, and a tad bit jealous. You are going to do a fabulous job! You must give us full details! Oh how wonderfully exciting for you! Have SO much fun and share with all of us later - kay?!! That is so exciting!!! Cannot wait to see what you two crazy talents come up with! That would be a dream!!! Can't wait to hear all about it! Too cool and exciting for you. So exciting. Sounds like a dream come true.